Below you will find VITEEE 2019 Registration Form and Fee. VIT engineering entrance exam is considered among the leading entrance tests in the country. 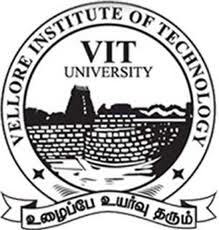 It is hosted by VIT University with the objective to offer admission in the available courses. Aspiring candidates who wish to appear in this exam will have to fill the VITEEE Application Form 2019. It is quite expected that the application form will be released in the month of November 2018. It should be completed within the specific time duration otherwise, the links will be expired. Apply online at website:- http://www.vit.ac.in from 1st November 2018 onwards. Upload scanned copy of recently taken passport size colour photograph with 10kb –200kb (Dimensions - 3.5 cm x 4.5 cm) / scanned copy of Signature of the Candidate with 10kb – 200 kb (Dimensions - 3.5 cm x 1.5 cm ) in JPG / JPEG format. Selfie photos will not be accepted. Also scanned copy of Aadhar Card/proof of enrolment ID for Aadhar Card is to be submitted at the time of counselling. Mode of Payment - Internet Banking facility through Net banking / Debit card / Credit card.